Thank you for participating. We will be selecting the winners of Toronto artist Jane Murdoch Adams' limited edition Frida Kahlo series prints shortly. Stay tuned! 1. Take a photo of your sad, empty wall. 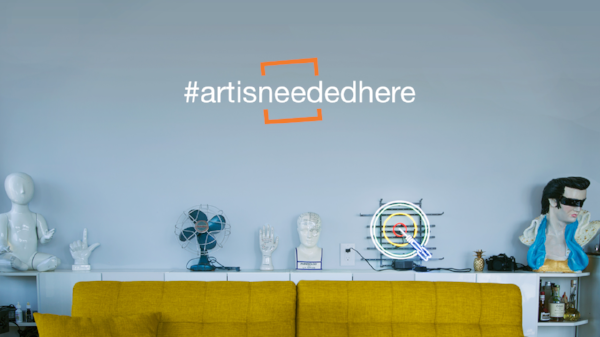 Share it on Instagram or Facebook with hashtags #artisneededhere #mercarttocontest #findmesomeart. The sadder the better. 2. Sign up for updates: Sign up for our monthly updates to increase your chances of winning as we will draw a subscriber at random. Mercartto.com saves you time by matching hand-picked, purchasable original art to your unique personality. Try our fun quiz to discover which art personality type you are, and to see your recommended art matches from our curated collection. Questions? Contact us at artyoulove@mercartto.com. *Contest is open to US and Canadian residents (excluding Quebec) who have reached the age of majority. No purchase necessary. See Terms & Conditions for full details.